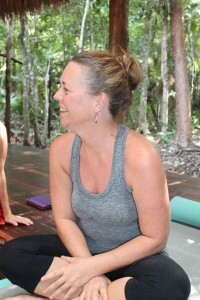 My name is Stacey Bremner and I am a Yoga teacher with 255 hours of certified training and hundreds & hundreds of hours of workshops, seminars and self study. I am passionate about helping stressed out people discover how to manage the stress in their lives and start their own unique self-healing journey using Somatic Yoga and guided meditation techniques. I teach Somatic Yoga to individuals and groups – from youth to seniors – so they can regain voluntary control over their own neuromuscular system. Conditions such as muscle and joint pain, limited mobility and poor posture, have usually been learned and habituated. This means they can be un-learned and corrected, allowing your body and mind to relax and age gracefully. I know from personal experience and from witnessing my student’s or client’s progress that Somatic exercises can create long-term lasting change. The body knows what to do to remain healthy and strong . The body WANTS to be healthy and strong .All you have to do is to listen, respond to its needs and trust the innate wisdom of your body. Every body has the capacity to self heal. As a yoga student with a dedicated daily practice, I did alot of stretching. It wasn’t very long before I developed chronic pain in my right hamstring attachment. This became worse after I started teaching and I soon found that if I sat for any length of time my lower back would go into spasms. I stretched even more to get some relief, using all the tools I had learned in my yoga teacher training but it wasn’t until I stopped stretching that the pain finally went away! To stop stretching was not easy. For starters, I loved a good stretch!! The deeper the better and I did not want to give that up!!! Forward folds and deep lunges were my favourites, little did I know they were also part of my problem. When I realized what was going on I stopped my personal asana practise but I still had a dilemma. I was teaching my students to stretch and I didn’t know what else to teach them. My specialty is teaching to beginner’s, so I did a lot of demonstrating. Over time, I tried to demonstrate less and slowly began to leave out the “major” stretching asanas to replace with alternative movements and exercises. I got REALLY curious . I already knew from my massage therapy training that stretching feels good because it brings blood and oxygen to the area and I knew personally that it’s effects were temporary. I had also learned that when we stretch, we take the two ends of a muscle away from each other, and that muscles have a built in contraction reflex called the Stretch Reflex .This helps keep the muscle from stretching too far by sending a message to the spinal cord. When the spinal cords gets the message it then tells the muscle to contract. I later learned through other research and study that sometimes a contracted muscle forgets to release after being contracted. This is known as Sensory Motor Amnesia. The reason my hamstring & lower back pain stopped is because instead of continuing to force those tight muscles to lengthen, I re-educated them with Somatic exercise to keep them from firing “on” all of the time. I learned that to do this we must engage the brain and nervous system. I started looking at the students coming to my classes. Almost everyone was looking for ways to decrease stress. Most were affected by chronic pain and looking for some sort of relief. Few appeared to be improving and for those that did the effects seemed to be temporary. Many felt like they were destined to remain in pain and used painkillers and anti-inflammatory’s to manage their symptoms. During this time, I was training for my Yoga Nidra teachers certificate and was introduced to Neurobiology. I learned about Neuroplasticity (the ability of the brain to change throughout an individual’s life). Again I was fascinated and when my training was over I began studying more about the subject. I also connected with a large group of yoga teachers on Facebook. These teachers were all were looking for alternative & safer movement methods to not only teach to their students but to practise themselves. There really is an epidemic of injury through the practise of traditional yoga asana that many yoga teachers either don’t know about (yet) or want to talk about, but not in this group! 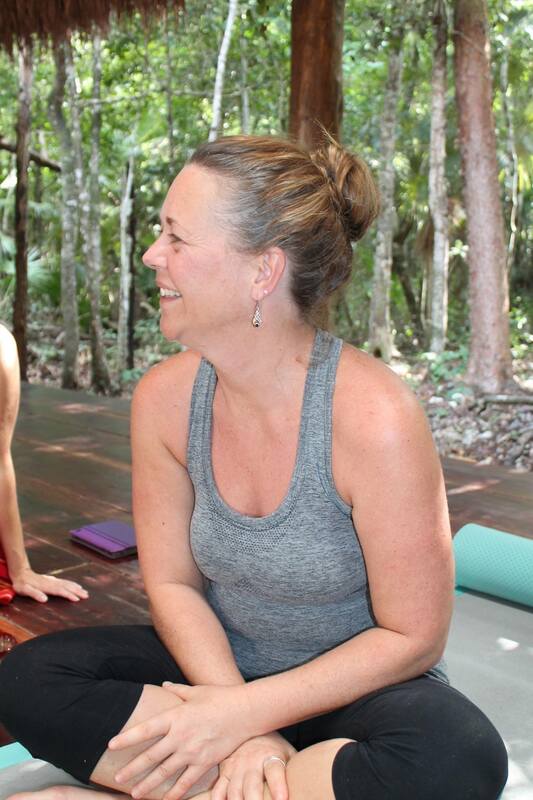 I was happy to have found other like-minded peers and for the first time heard other teachers talk about the negative aspects of Traditional Yoga- injuries due to being too flexible/repetitive movements/over stretching, spiritual by-passing, yoga cults & sexual abuse by prominent Traditional Yoga “Gurus”. Many (like myself) had been drawn to yoga to help fix their mental/physical problems but over time were finding that Traditional Yoga was not the “cure-all” as it is often marketed to be. I often have people ask me if what I teach can really be called “Yoga” because my classes do not include much traditional Yoga Asana. The word Yoga is a Sanskrit term meaning to “yolk” or “join”, typically meaning the union of Mind, Body and Breath. This is most definitely what I practise and strive to teach to anyone who takes my classes! As I continued my Neurobiology research, through workshops, seminars, webinars, books, etc., I came across Irene Lyon, a Nervous System Specialist who taught me about the biology of stress, trauma, nervous system regulation and the Feldenkrais Method. My whole world changed. I continue to study with her to this day. The Feldenkrais Method is a type of exercise therapy devised by Moshé Feldenkrais . The method is claimed to reorganize connections between the brain and body to improve body movement and psychological state. An early student of Feldenkrais’ was a man named Thomas Hanna. Hanna recognized that tight sore muscles, joint stiffness, loss of smooth controlled movement and chronic pain are symptoms that can be reduced and reversed. He found that, over time, muscles become switched “on” and can remain that way because the brain has literally forgotten how to switch them “off” . This is known as Sensory Motor Amnesia and it creates physical symptoms that show up as pain, stiffness, inflammation, etc. Hanna coined a technique known as Pandiculation. It’s a way to release involuntary muscle contraction, relieve chronic pain and prevent recurring injuries by re-educating the nervous system. Pandiculation is a conscious contraction of a muscle, taking it even tighter than it already is. Then a slow, deliberate and active lengthening of that muscle followed by a complete relaxation. This, as opposed to stretching and is re-education that involves the brain. Pandiculation undoes the sensory motor amnesia that keeps the muscles chronically contracted. Chronic contracted muscles will cause pain and also causes the body to be out of alignment. Once I started studying and practising this concept, I started teaching Somatic Yoga & Movement classes. What I teach these days is really a combination of everything I have studied in the last 5 years plus everything that I continue to study. When it comes down to it, my students are really my biggest teachers. I often think that I learn much more from them then they do from me. A typical class always includes a few minutes at the start to orient to our environment by sensing the body and the breath) and always ends with a 10-15 min. guided Yoga Nidra body scan meditation. What happens in between will vary. Some days we practise only somatic flow exercises other times we focus on balance, organic movement or a specific body part such as the feet. I’m fortunate enough to have a really awesome student base that is pretty open to experiencing whatever I have to offer (and are kind enough to put up with me not always knowing my right from left!). It is humbling to witness them learn how to slow down and listen to their bodies, to see them show compassion for their bodies and their limitations and to see them progress. As our community grows it continues to be filled with laughter, comradery and kindness to one another. This is the magic and power of Yoga! I truly believe that the practise of Yoga is all about the journey , NOT the destination! If you can come to your mat without any preconceived notions about what you can or can’t accomplish, have an open mind, a positive outlook, and leave your expectations at the door, this will result in the best experience possible! Yoga is non-competitive. Be compassionate with yourself. Stay connected to your inner teacher. Stop whenever you need to take a break. Listen to the messages your body is sending you as you practice. Learn to recognize the difference between sensation and pain. You should never feel pain while practicing yoga. My goal is to help you LEARN how to bring awareness to the things we tend to not tune into ;our breath, our bodies and how tension/stress affects our movement. I want to share the tools from my personal practise to help you establish your own! Thanks so much for the time to read . Hopefully I will see you soon in a class.